Jump to the following articles on this page. But before you just start polishing and cleaning the outside of the lamp, you should read the page on Beginning Lamp Restoration. Installing wicks in center draft lamps & more here. Never refuel a lamp when it is burning. That is why Kosmos lamps do not have a separate fill cap. Fires an happen to the nicest people - even old lamp people! Never fill a lamp all the way to the top. Leave 1/2" of empty space to enable the fuel to expand as it warms up. The heat from a burning lamp also heats the fuel. Clean spilled fuel from the lamp. Fuel residue will tarnish the finish over time. Nickel plate will peel off, brass and copper will tarnish, ruining a pretty lamp! Start a lamp burning at a low setting! Let it warm up the chimney and fount before turning it up to a higher flame. Never leave a lamp burning unattended for at least 10 minutes or until the flame has stabilized. As the lamp warms up, so does the fuel, and thinner fuel is more volatile. You may have to lower the wick several times as the lamp and fuel get warm before the flame will be stable. Old lamps should be cleaned and polished to fill the pores of the metal so it will not corrode. A liquid car polish/cleaner such as Mequair's will clean the metal without destroying the patina, then leave a beautiful finish that will last for a long time. The polish will make the surface shiny. That can't be helped. Brass is a mixture of copper and zinc. Zinc is a reactive metal, and if allowed to be exposed to the air the zinc can corrode, leaving the residual copper in a "spongy" state... dark and porous. You don't want that! So the cleaner/wax will fill the pores in the brass and leave a non-oxidizing coating. Auto wax polish/cleaner is NOT a "metal polish" as such. "Blue Magic" metal polish will clean the brass to make it look new... and leave the brass virtually uncoated. Sometimes when an old patina is "spotty" and not uniform, it pays to clean with a metal polish, wipe dry, do not touch with ungloved fingers, and in 6 months or so there will be a uniform patina. Then an auto polish will maintain that same patina. Far left, an 1885 Lampe Pigeon as purchased. The copper surface is dull and prone to oxidation. Near left, the same lamp after a few minutes polishing with "Blue Magic Metal Polish Cream" and a coat of auto polish. The pores of the metal are filled with polish, so the lamp will stay beautiful for many years without tarnishing. "Blue Magic" auto polish will indeed thin nickel plating. Normal liquid auto polish will not because it is not very abrasive. Auto "chrome polish" is lighter still and will clean a very fine oxidation. The problem with Blue Magic and Chrome Polish is that they leave the surface raw, the pores in the metal unsealed. A very light coat of liquid auto polish, wiped off with a dry cloth, allowed to dry completely, then wiped off AND removed from all cracks and corners (a toothbrush works fine for this), will leave the surface in a very clean and polished state that will inhibit corrosion for well over a year. You can use the absolute cleaning power of Blue Magic for specific purposes. Let us say you have a brass lamp that you want to have a patina, but an even, unblemished "aged look." Clean and polish with Blue Magic, being careful to not touch the surface to not leave fingerprints during the final polish and wipe down. Place the lamp on a shelf where it will not be touched. In six months you should have a very nice, uniform patina. The longer the lamp sits on a shelf untouched the darker the patina. When you have the color you want, then apply a light coat of liquid auto polish to seal the surface and preserve the appearance you want. The vast majority of the lamps most of us encounter are old, but they are not museum pieces that cannot be touched. Restoration of function is important, as is stabilizing the finish so they will not corrode. Removing a crummy "age patina" is expected and right with these lamps, as it restores the lamp to the original condition so it can be enjoyed by generations to come. Leaving a lamp with a dry, porous metal finish is simply an invitation to corrosion and a worthless lamp. Keeping a lamp in "as found original condition" is in my opinion an excuse for laziness. Some eBay sellers are very proud of the dust, dirt and grim on the lamps they sell, proudly proclaiming them in "as found" condition. And those lamps sell for far less than their potential if only given a little care, as shown in the examples above. I was the sole bidder on the Lampe Pigeon at $10.95, and one look at the photo above left shows why. After 15 minutes of work that lamp is as beautiful and functional as a new Kosmos Vintner's Lamp costing $65.00, and it has additional value because it is 123 years old and still perfect in form, function and appearance. If a lamp was put away 'wet' with fuel and left for decades, the fuel will evaporate and leave a gummy residue that virtually glues all of the parts together. Don't force anything to move! Read the page on Beginning Lamp Restoration first. 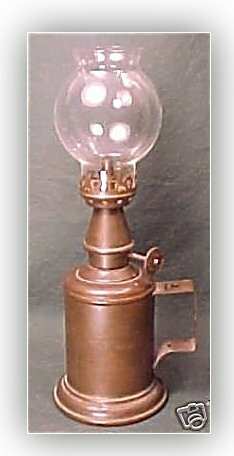 I have some old kerosene lamps that have red residue left in them from eons ago. I've tried steel wool, and even paraxylene to get these stains out, and nothing works. Do you have anything that I could buy to clean these lamps with? Thanks again, Miles, and I'll be ordering from you shortly. ******** Kerosene precipitates paraffin - wax. Nothing dissolves wax, but wax melts at about 160 F. Heating the font slowly in a double boiler to about 180 F, not even boiling, will melt most of the residue. The residue floats to the surface, wax being lighter than water, and can be poured off, then the font retrieved and wiped pretty darn clean. THANK YOU, MILES! !..Okay, you've made a customer for life here with the tip on cleaning kerosene lamps. I tried this tonight, and these lamps look as good as they did the day they were made a hundred years and some change ago. Thanks. Jeff J. Almost all center draft lamp wicks are provided full length without "tails" because of the great variation in the depth of founts. Remove the top of gallery and measure the height of the draft tube with a thin stick like a bamboo skewer. That length plus 1" is the proper wick length. Four, two inch "tails" should be cut in the bottom of the wick. That will give the tails room to splay out when the wick is lowered for extinguishing the lamp. There were literally hundreds of patents issued for wick raising assemblies for center draft lamps. 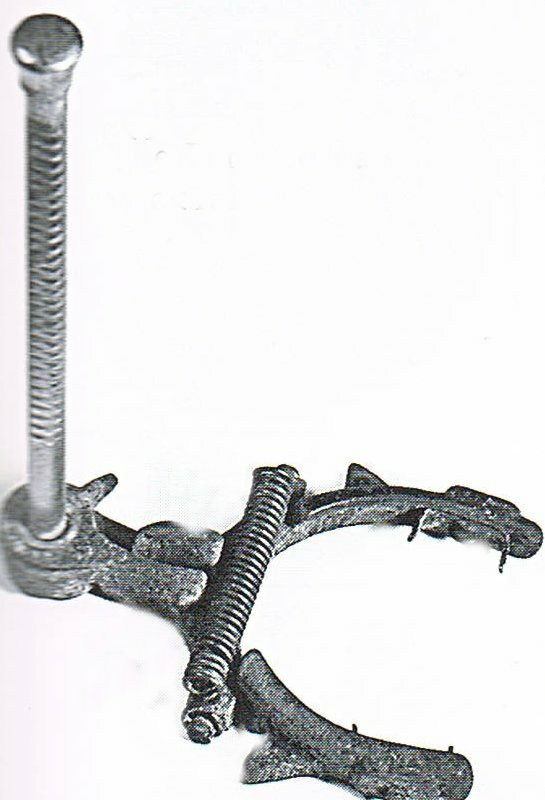 Many B & H lamps use a clamp (Penfield patent) which closes to grab the wick securely. Raising the the clamp to the top engages a wedge which forces the clamps apart...the wick can then be carefully inserted between the draft tube and the clamps, then the knob turned to lower the wick, which disengages the wedge and grabs the wick. Adjust the height of the wick after you know it will raise and lower properly. B&H Penfield patent clamp P&A outside finger clamp. Rayo wick sleeve. Miller wick sleeve. At right is a photograph of a wick guide made from a corner of a gallon size plastic jug of Low Odor Mineral Spirits. It is 3 3/4" wide and 6 3/4" high. The stiff, very smooth plastic already has a bend in the middle because it retains the shape of corner of the container from which it was cut, so it curls easily to fit the tube. If the lamp has the sharp wick-holding points against the pillar and pointed outward, slip the wick guide around the pillar, slip the wick over the wick guide, position the wick at the right height, and simply pull out the wick guide while holding the wick down. If the lamp has the sharp wick-holding points on arms so the points are pointed inward toward the air tube, slip the wick guide between the arms and the central air pillar, slide the wick between the wick guide and the tube, position for height, and then pull out the wick guide while holding the wick in place below the wick guide with needle nose pliers. Heater wicks are installed according to height above the wick tubes. 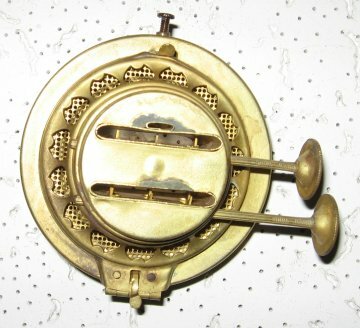 Center draft lamp wicks are just the opposite. Install the wick so it retracts about ½" below the top of the wick tubes to reliably extinguish the flame when the wick is lowered. The height of the wick, and therefore the amount of flame, is adjusted by the wick adjustment knob, and there should be a considerable amount of wick available for use so that the wick need not be raised until it has been burned for quite some time. The new wick must be level on top to avoid flame spikes. You simply cannot trim the wicks perfectly even with scissors. Set the lowest section of the wick 1/16" higher than the wick tubes. Put a couple of eyedroppers full of kerosene on the top of the wick, put in the flame spreader, light the wick and put on the chimney. After the kerosene burns off the cotton wick itself will burn down level with the wick tubes. Rub the charred wick down with a finger, cloth or stick in a circular motion around the wick tube to get the charred wick even. Be consistent; rub the same direction (clockwise or counterclockwise) every time. This may need to be repeated several times on thick lamp wicks. Make sure the chimney does not touch the shade or the shade may crack from the heat! The first burning or two should be with kerosene, as Low Odor Mineral Spirits burn so perfectly that the wick seemingly does not char at all. 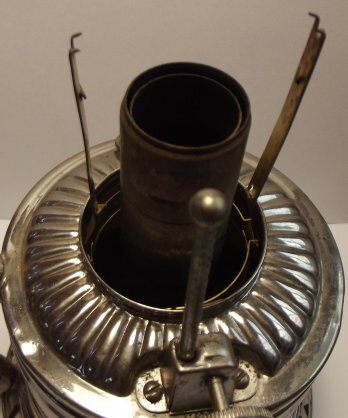 Burning kerosene in a center draft lamp results in a "char" to the top of the wick with every burn: when the lamp cools down, remove the flame spreader and rub a finger one direction only to even the char. After the wick burns perfectly even with kerosene, then you can switch to Low Odor Mineral Spirits and the wick will continue to burn beautifully for a very long time. Flame "spikes" are caused by the wick being too high at that spot. The height of the "spike" prevents burning the lamp at even close to maximum light output because the "spike" will cause sooting if raised too high: a full "tulip" flame or even a decent curl of flame is simply not possible to attain. Don't even try to trim the wick with scissors - it won't work because the top of the wick would be "clean" and not have a char like the rest of the wick top. To correct this problem and make the wick perfectly level on top, let the lamp run out of fuel. When the flame dwindles because the wick is almost out of fuel and thus "dry," lower the wick until only 1/16" or so of wick is exposed above the draft tube. DO NOT BLOW OUT THE FLAME! Move the lamp to a place that is relatively draft-free yet ventilated and let the wick burn out on its own. The wick is cotton and will itself burn down - exactly 1/16" - level with the top of the draft tubes. Remove the chimney and flame spreader and rub a finger over the top of the wick in one direction only - make one or two "circles" around the top of the wick to even the char. The best way to extinguish a lamp begins with proper wick installation, as above. The wick can then be lowered so it is 1/2" below the top of the wick tubes. There will be residual fumes because the heat from the burning flame heated the fuel in the fount and on the wick. After the wick is lowered there will be some flame that will quickly dwindle to a "circular dance" of flame as any residual tar and carbon deposits on the top of the wick tubes or flame spreader are burned off. The chimney will also cool naturally during that time. When the flames are virtually gone, then the flame can be blown out by blowing down the chimney. The cooler chimney will not experience a radical temperature change that would result in immediately blowing out the flame, and that will lessen the chance of cracking a chimney. If plain glass chimneys could take radical temperature shock there would be no need for the borosilicate chimneys I sell. Wick thickness and weave is incredibly important. Victorian era lamp manufacturers were in intense competition to produce lamps with the greatest possible light output per fuel consumption, and their methods of achieving that were different. Miller designed the easiest wick replacement system and brilliantly designed flame spreaders to achieve a tall, white light from a thin wick. P&A used a nominal 1 1/2" diameter wick on their Royal burners which was thicker on the outside of the wick to induce greater capillary action and thus produce a fine white light with the same draft tube measurements as a Miller or B&H. The L&B "Belgian" 30''' lamp used a nominal 1 1/2" diameter wick with the extra thickness on the inside of the wick, requiring a smaller diameter draft tube. The Belgian 30''' design was so superb that is was copied by B&H's Radiant #5, P&A's Plumwood, and Miller's Dresden, Liberty 2/0 and Empress. The L&B Belgian 20''' lamp used a thick 1 1/4" wick of the same nominal diameter as a Miller #1, but thicker on the outside of the wick - and was copied by Success and the B&H Radiant #4. 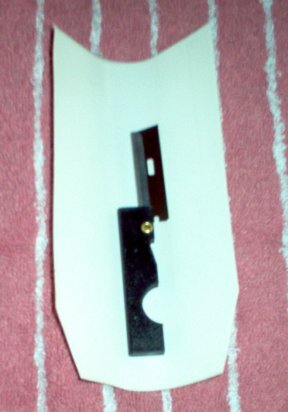 The Rayo Jr. used a thick 1" diameter wick. None of these wicks are interchangeable! I had to have the specific wicks made using original wicks as samples. Wicks which are too thin do not fill the wick gap; the wick itself can burn down the wick tube, and if not put out in time can cause a fire/explosion in the font. For example, a Miller #1 should never be burned in Success, Radiant #4 or Belgian 20''' lamps. 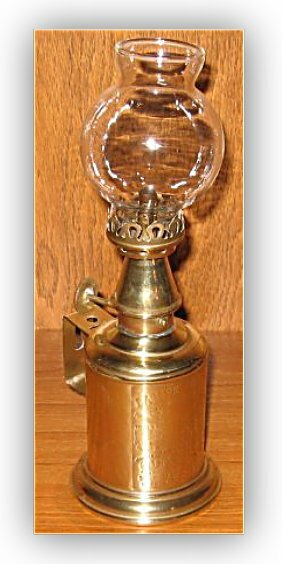 Large, circular wick, center draft lamps should be burned at near maximum light output to properly heat the flame spreader to burn up all fumes. If used turned down to minimum light output, they will produce an aroma when burning, but not when properly adjusted for maximum light output. 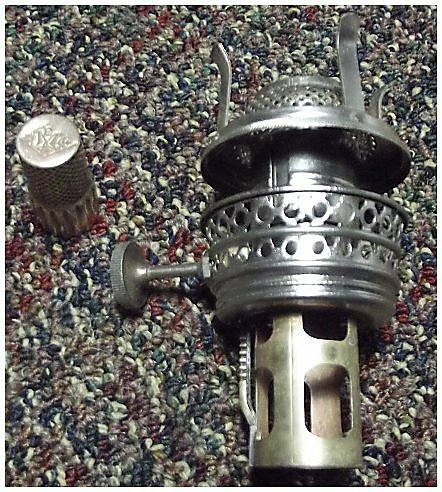 The exception is the tiny lamps, like the Tiny Miller, Little Jewel and Tiny B&H: these miniature center draft lamps should be burned with no more than a 1" high flame front to avoid overheating the fuel. There is a small air vent in virtually all lamp burners, which is a safety feature to keep air pressure equal in the tank even with a solid fill plug. The vent hole must be keep clean and clear of obstruction. 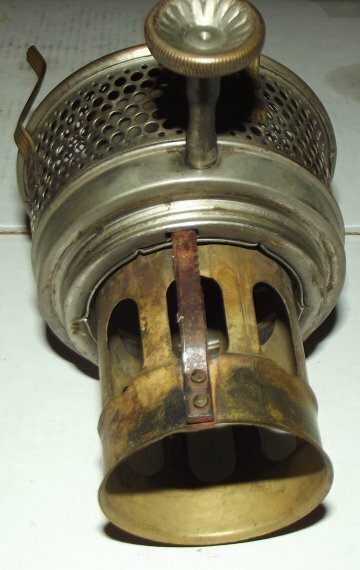 The photograph at left shows the bottom of a duplex burner, but single wick burners also have a vent. Click on the photo to enlarge it to see the vent tube directly above the top wick slot. Burner Repair. See the three star wheels attached to the shaft in each wick slot above? Those cog toothed star wheels must turn in fairly precise slots, and if one tooth is bent the wick will only turn back and forth until the bent tooth hits the side of the slot. Look closely and you should be able to identify the bent tooth. Gently push the errant tooth back into alignment with a thin bladed screwdriver, then try the wick raising knob again. It may take a few tries, but it is often possible to make a seemly broken flat wick burner work again just like new. This is also the time to gently push any dents in the fairing above the wick back into place, which will result in a smooth air flow over the wick and thus a nice, even flame. Be gentle. All of these parts are usually brass. Wicks for kerosene space heaters, click here. Center Draft Wicks - Wicks available only from this Wick Shop. from "Tiny" Junior to Mammoth lamps.